Safe to say with the popularity of our 2009 released Mini Torii, very few have actually heard how good it can get... but that all changed this fall when we did our final re-design of the amplifier's chassis. We changed from an aluminum plate to a steel plate adding 150% more mass to the mini torii. Then we put a black 1930's typewriter finish on it that frankly made the entire amp look twice as expensive. The four coupling caps were upgraded to a level even higher than we could achieve with VCAPs in this amplifier. Cryo treated beeswax and foil with silver leads by Jupiter are now being used. And the last but perhaps most outrageous is the two switches that turned on or off the OC2 regulator tubes were eliminated in favor of a 10 position pot that allows you to reduce the feedback from it's factory setting of 6dB all the way down to nothing unleashing the raw speed and attack this amp is capable of. Just one click on the dial brings a huge amount of midrange presence and additional detail and openness. Two clicks is even more - probably too much for some. However, there are occasions where even less is desirable - like on certain speakers, or when the amp is used to drive the center channel in movies where more articulation is desirable. This is the Mini Torii at it's fully realized potential, both visually and sonically. For those with white mini torii's, the adj feedback mod is $100 and the Cryo treated Jupitor Caps are $300 which will bring your amp up to spec with the current production version II. Dear Mr. Deckert ... Starting now, I'm going to save as much as I can to get these mods, some day. When I bought the Mini, early this year, I new a 2009 model had to be revised sometime soon. I just did not imagine the fabulous upgrade level involved, especially with those unique caps you like so much. I imagine the mods need to be done at your shop, so for me it is a significant logistical complication. We'll see how we can circunvent this. May I ask why the 150% increased mass (from the new steel chassis) is beneficial? Vibrations control maybe? What about magnetic field issues with a steel chassis? I may be wrong, of course, but I thought some moderate negative feedback reduces distortions in class A amps (or make it more stable, or something). I infer from your announcement the tradeoff of this needed feedback is a slower reacting response to dynamic demands on the amp? I'm assuming the new caps really make a substantial difference in sound quality, other things being equal? Congrats for yet another winner design update, I'm sure! Great Steve! Now just don't change the Torii Mk III. Sure looks like a winner. The Mini Tor(II) is aptly named. It is high time for a Version II of this wonderful little amp. I look forward to it. Gee...I just got mine. I guess the honeymoon had to end sometime. Im currently on the waiting list for a Mini Torii (invoice 3430). My order was placed before this newer model came out. Will I be getting the older version of the Mini Torii or the newer sexier and improved version ?? I have had mine for three months. It is the 'retired' model. The quickest way to get in touch would be via phone. Sarah is extremely helpful. Thanks JD. Ive already P.M. Steve, hopefully I'll get a reply soon. If not I'll phone Sarah tomorrow. Mine is a 2010 model with 6X4 (EZ90) rectifiers. I have 7 to 9 pin converters so I could use the EZ80 6CA4 rectifier if I wanted to. I might send mine in for the updates that Steve rolled out. I'll never run the amp with the 0C2 tubes off, thus don't mind giving up those on/off switches. You should keep yours around for a while before you contemplate doing this. I never run mine with the regulators off either and I see no need to change anything at this time. I almost used Jupiter caps in my amp but went with Jensen. Both are very good...not that the stock caps were bad. I may be wrong, but I've been thinking the adjustable negative feedback mod may not be of interest to me, as it would further crowd the signal path, and the stock dynamics in my Mini are good enough to avoid having to slightly sacrifice the midrange sound quality to improve it. After all, this is a beam-tetrode design and it (theoretically) already compromises some of that midrange magic from triodes by trading it off with improved dynamics. Could someone familiar with these techniques correct me? Finally, I find the Caps improvements much more appealing, as these are supposed to improve SQ overall. I don't know what are the tradeoffs involved, hopefully just cost? I would be very surprised if the adjustable feedback impaired the sonic quality in any way other than offering a way to tailor the sound. "Crowding the signal path". . . I'm not sure it necessarily would and beyond that I've discovered that at the hands of the best designers departure from the purest of signal paths can have sonic benefits. And Steve is one of those designers. I agree that it may not make sense to send the amp back for modifications, but it's likely a great change to the model for new buyers. Similarly, in the hands of Steve triode and pentode and even single-ended and push-pull are not intrinsically one better than another, a lot of the old thinking about these things don't apply with his designs. For example my push-pull Toriis sound so similar to the single-ended Zena amps I've had that it's a non-issue, and when I could switch between triode and pentode in my original Zen amp I preferred one over the other for weight and pace reasons more than the differences in the two modes. They are always looking for ways to improve existing products in an honest fashion. In other words their motivation is always good sound, not just to roll out new products to raise their profit margin. The original Mini Torii is by no means obsolete. I tried mine with the 0C2 tubes turned off and did not like the sound at all. I could see why Steve would omit that option, and add the adjustable feedback. The new caps - well that is an advancement that was an improvement. The adjustable negative feedback 'IS' a tradeoff by design. It trades midrange liquidity and lush for more powerful dynamics. I did not assume this. It's a nice feature for someone interested in applying this tradeoff to accomodate recording sound characteristics. I'm just saying, I would not consider it after some thought, for the stated reasons. You can argue about design proess and I agree, but adding a negative feedback selector in the signal path may, ceteris paribus, not be without a cost. In this case, the user will trade some midrange sonics (or stability, or something), for the added boost in dynamics. That's inherent in negative feedback as a design choice. I'm not implying Decware did this just to show off, but to allow interested people to take advantage of this possibility. To show the dynamic potential of a well designed beam-tetrode SE amp. If 'I' was buying the new model, that additional cost would not be put to use, is what I'm saying. Finally, I keep listening to contradictory believes in this forum re the sonic differences between some design philosophies: As an example, I was reminded here of the 'special' sound of the simplest amp, the SE84C+, in terms of its liquidity and 'magic.' I agree. So, there are differences and tradeoffs in any design, given the objectives pursued. In this case, having the means to affect the final sound signature throughout the discrete negative feedback range, is good. I just would probably not use it as I would not sacrifice, again, any of the already possible midrange or other (liquidity, etc.) characteristics in the Mini at the 'voiced' optimal negative feedback level, just for the added dynamic boost. That's my amp's usage choice, based on my current opinion, until someone proves me wrong. The 'prove me wrong' is what I was asking for as feedback. I'm a rational individual, I believe in logic and facts. I may be missing enough information, but I have not seen it yet. I'm all for the Caps upgrade, though, definitely. Lord knows I would never want to prove you wrong, that's not how I ever operate, and I'm of a different sort as far as logic and facts go, I can't ever know the absolute everything and often don't draw conclusions with definitiveness from what I do know. That leaves a lot of gray and I'm okay with that. Anyway, I wouldn't say "I wouldn't use the negative feedback selection option" because I probably would, I prefer designs that I've heard without feedback to be honest, so this would be a plus for me. I like having options, and this seems like a good one and would be a selling point for me. 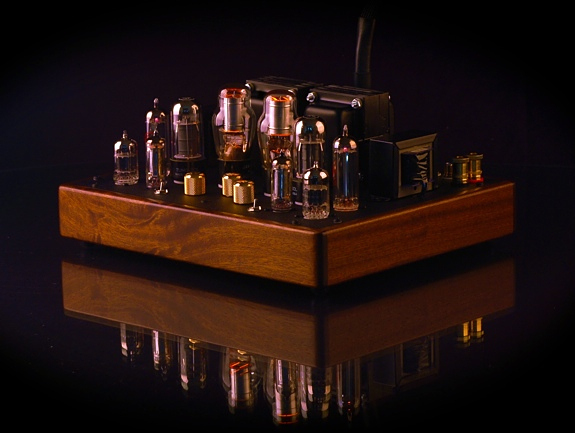 And again, I have owned seven different Decware amps and they have been both push pull and single-ended and one allowed me to choose between triode and pentode operation. I've made a conclusion about Steve's skill at maintaining a homogeneity of excellent sonics across several different circuit design based on my experience with seven amps. (And other tube amps I've owned). You can dismiss it, but I think it's more facts and experience about Decware amps first hand than you have accumulated. 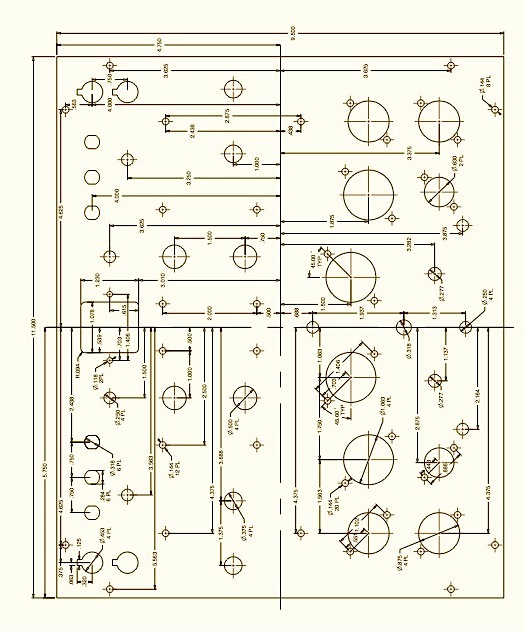 I think that there's truth to the fact that some of the amps have a bit of 'magic' others may not, but there are many reasons for that, from circuit design and layout to tube types and power supplies and it's not just 'purity of a signal path' etc. I don't see these improvements to the Mini Torii as taking away any of its magic, and I don't believe Steve would alter the model if it did. My experience tells me that I don't think that adding the negative feedback selection will mar the dynamic ability of the amp in any way. I would not be surprised if Steve verifies that. I don't see the donwside--in fact this is likely to offer more benefits with no downside. So I'm not attempting to prove you wrong, was offering my facts based on experience and not contesting with you. And I have no dog in the hunt of whether you decide to upgrade the amp or not. I have chosen not to upgrade in the past, and I've been a bit disappointed that Steve upgraded an amp after I bought mine but in the end I'm always offered a chance to "catch up" and it's my choice. I find this new Mini Torii design more attractive for my needs than the first. I could consider one of these and a pair of the DNA Horns for a nice second system one day. Intriguing improvements to a proven amp. Way to go Steve. I consider the Mini Torii excellent the way it is, and just the Caps upgrade triggers my imagination at this point. Come on guys, you're arguing about something that no one has heard. I don't care if Steve puts a kazoo on a amp, until I hear it with my own ears, I will take it at his word. Besides that, I am one big ugly guy that isn't above coming down to Austin or Panama and making you guys get along. You're right about your 'wait and see' attitude, Donnie. But one has to consider pros and cons before deciding upon a mod, to avoid trial and error. Let's see what information we get eventually from the new amp's manual. I see from your info that you live in Panama. If so, I should be getting the new version of the Mini Torii delivered to me in Panama by late January. If your near my area I'd be more than glad to drive over so that you can listen to the new Torii in your system and decide if the upgrade is worth it. Come on down Donnie and we'll misbehave together! I was trying to say the same thing, I take Steve at his word. And I didn't think we were arguing. Small world, Carlos. I would've never imagined there would be someone here sharing even the same model! Especially not after the guy from Sound of Panama sweared in Panama nobody seems interested in tube amplification, so he does not even carry tubes in stock. Anyway, I just replied to your earlier message in the general discussion thread in relation to your request. No problem. Send me a PM. I own a Mini Torii II so my impressions of it may be helpful. I've found the adjustable feedback extremely useful, especially for music with high gain guitar. Reducing the feedback just slightly really brings it out and makes it sound "right" for lack of a better term. As a guitarists I really appreciate this. I've also noticed that it helps some vocals and can breath life into weak productions. I listen to a wide variety of music and generally I'll use the default feedback setting, however for about a third of my collection I'm finding the adjustable feedback a must. It could be useful for different speakers and rooms as well, though I haven't experimented with that yet. I'm not really sure about the concerns some have mentioned about it. Mini Toriis have always had feedback built in, the ability to adjust it is nothing but a plus to me, and makes an already wonderful amp way more versatile. As for the Jupiter caps I can't really comment as I have nothing to compare them too. Though I'm thrilled that mine has them. The new wrinkle finish is very nice too. Zen OTL, Mini Torii II and III, “El Camino” MTM speakers, Tang Band 1808s used with SVS Sub, Schiit Gungnir Multibit, DIY "Zbit", dedicated circuits. I owned the MINI TORII serial number three, the one that they based the ongoing production models on. The MINI TORII is special indeed. Particularly impressive is the stereo separation, which is the first thing I noticed with mine. Then it was startling to turn off the OC2 tubes and listen to the sound without them. I would turn them right back on again. It is not surprising that the Version II leaves the OC2's on all the time. Jupiter caps and adjustable feedback I am certain make a great amp even better. Also EZ81 rectification eliminated problems with the delicate but wonderful sounding 6X4. Hi BW, congrats on the new Mini! I appreciate your observations, and that you seem happy with that particular option, except you haven't spoken about noticing sound quality tradeoffs involved when you bypass/reduce the design feedback of 6 Db for something less than that ideal. The amp was voiced to have a special sonic signature and presumably optimized for sound quality at 6 Db negative feedback. Evidently, the dynamics are released when the feedback loop is reduced, but the tradeoff is supposed to be higher distortion. Since Beam Tetrodes (i.e. 6V6) or Pentodes, do not behave as linearly as Triodes, this feedback is much needed to avoid higher distortion levels throughout the frequency range. My only contention is why would one buy a Class 'A' SEP if one would be willing to trade some of its inherent SQ for more dynamics? Why not choose a PP design in the first place? A little bit of 'both worlds' in the same amp, perhaps? I'm just curious. This is all technical and beyond our musical enjoyment objective, of course, but I'm interested to know if you have heard increased sound distortion along with the increased dynamics involved in bypassing or reducing the negative feedback during those passages. I would be happy to learn from your inputs in this regard. Thanks! Thanks Fireblade, I couldn't be happier with it! About tradeoff, it's a bit hard to answer because so far I've adjusted the feedback to give favorable results, if they aren't I simply return the setting to where it sounds best. A lot has to do with the production of the recording, some benefit from it much more than others. I suppose an example of a tradeoff that occurs sometimes would be that lowering the feedback improves the sound of the guitar but makes cymbals louder and harsher. In this case I just pick the setting that sounds best overall to me. I struggle to make blanket statements about it because every recording and instrument is affected differently. Some a slight change will improve everything with no real tradeoff that I can notice. Others the same adjustment will be unpleasant and give a harsher in your face kind of sound. There is always the default setting though, and I have yet to come across anything that sounds bad using that. So far I've found only small adjustments from the default to be useful. Setting it to zero feedback gives a similar sound to playing music through an instrument amplifier. As to your question of why, I'd say to have more options. It's something that could be left alone, or it can be experimented with and you might find some recordings really benefit from just a little adjustment. Kind of like the treble shunt, or tube rolling, it's just another option. If my amp didn't have it I would want it added. I haven't noticed any distortion occurring from simply adjusting the feedback. Also I'm just starting out building my HiFi system, the Mini is the only part worth mentioning so unfortunately I'm not the best person to ask about some of this. Though I hope what I have said is useful. It's a wonderful amp with or without mod. If you're really curious getting the mod might be the best way to answer your questions. Especially if you're sending your amp in for a different reason, at worst you'd be out $100 and have a couple knobs you don't use. Thanks so much for the thorough reply. I see your points and you're probably right. There must be instances where a device like that may come in useful, especially given the huge variation in the quality of recordings. I personally would be more interested in the caps upgrade, but I can see now the usefulness of being able to further tweak the recording playback more to your liking. The Mini Torii is a great little amp, and so far I don't miss any dynamics in my system. My main objective, therefore, is to get the best sound out of it, and so the idea of trading that for more dynamic potential just didn't ring a bell. Once you have yours fully broken-in, you'll really appreciate its real potential. I'm sure those caps will be quite helpful getting there.